Deaf Centre Manitoba Inc.: Magic of ASL for May 18th at DCM Forrest Nickerson Theatre!! 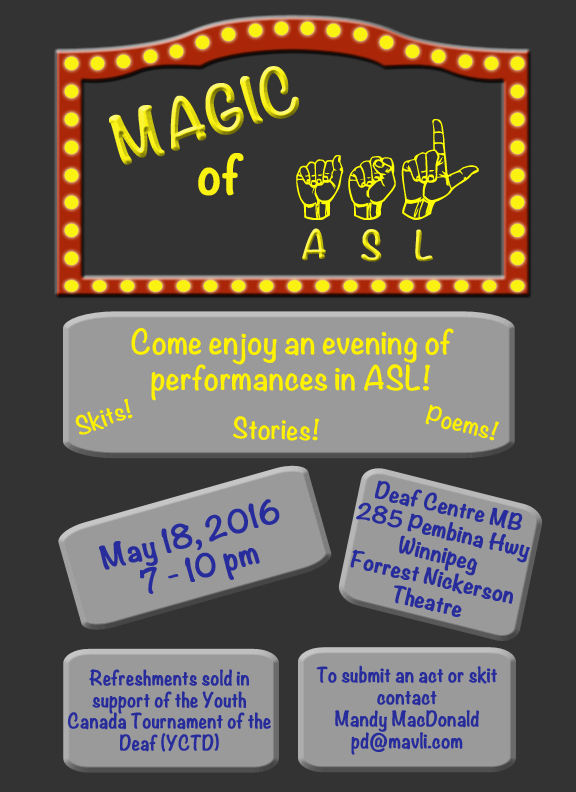 Magic of ASL for May 18th at DCM Forrest Nickerson Theatre! !